This article is about the Canadian musician. For the Australian footballer, see Max Graham (footballer). For the American actor, see T. Max Graham. 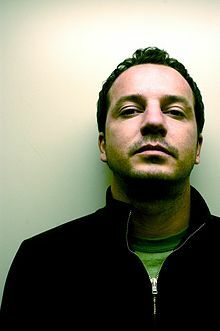 Max Graham (/ˈɡreɪ.əm/; born April 17, 1971) is a Canadian DJ, composer and producer of dance music. He is most famous for his Cycles CD Series/Radio show as well as his remix of the classic song "Owner of a Lonely Heart" by Yes in 2005. He is also the founder of the Re*Brand record label. Graham was born in London, England and lived in Spain, New York City and Los Angeles before settling in Ottawa in 1989. At age 15 in 1986, he began as a hip-hop DJ before discovering and falling in love with the dance music scene between 1992 and 1994. Graham was nominated for a Juno Award in 2001 for his track Airtight. Graham has toured to over 75 countries since 2001 and performed at such festivals as Tomorrowland and Dance Valley. He currently resides in Montreal where he runs his weekly radio show Cycles Radio. ^ Hajderaj, Ani. "Max Graham Appreciates His Ties to Canadian Cities While Moving Forward". Vice. Retrieved 26 March 2018. This page was last edited on 28 November 2018, at 04:39 (UTC).